I began this blog because during the twenty years that my husband pastored the church we founded, Calvary Marysville, I noticed that a lot of young women in our church had never been taught to keep their homes. Either their mothers had done everything themselves and didn’t take the time to pass those skills on to them, or their mothers had been absent from the home. Over the years, those young women came to me one-by-one with their questions. How do I come up with a food budget? How do I sew on a button? How do I cook a roast? How can I make my home cozy for my family? At first, I answered them individually. Sometimes I had them over to make bread with me. Sometimes I went to their homes to show them how to can jam or pickles. We had sewing, quilting and knitting lessons together. Sometimes, after sharing a recipe with one, two more would hear about it and ask for that same recipe. It finally occurred to me that it would be helpful to have one central spot for recipes and crafting lessons, and so I began Twig and Feather. I hope you find some inspiration on Twig and Feather … ideas to help you add a twig or two to your nest (those elements that are necessary but functional if your home is to run smoothly) or maybe a few feathers (those things that bring warmth, comfort and coziness to your home). Those of us who love making our home a haven for world-weary husbands, children and friends are always on the lookout for the next great idea. While you’re out looking, please stop by Twig and Feather often. 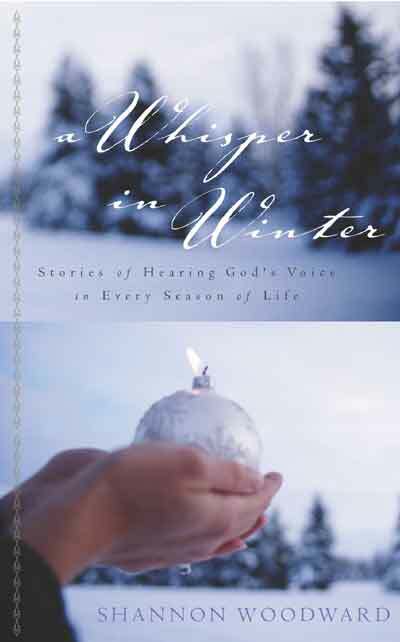 I’ve had the privilege of writing, ghost-writing or co-authoring fourteen nonfiction books, including (Cook Communications), and A Whisper in Winter: Stories of Hearing God’s Voice in Every Season of Life(New Hope Publishers). Though out of print now, you can find A Whisper in Winter in eBook form on Amazon. My writing has also appeared in three Chicken Soup For the Soul books, Tyndale’s Mysteries of the Bible, and in a number of magazines and anthologies. Contentment ~ Session 1 (2012). I’m so with you. We go to Cowboy church 20 miles down in the country and across the AR line. There is no phone reception there and no house phone on the premises. It’s a little shack which does have at least indoor plumbing, and we meet out in the yard around a huge campfire. Have had right at 100 there a few times. It’s so quiet and peaceful out there I never want to come home. Wish I could just live there. Pat, I would love to visit a Cowboy church sometime! We have a few around here, but I’m always pretty busy Sunday mornings, lol 🙂 I’m glad you can relate. I would give up my phone in a second! Im so sorry to leave a comment on here but I heard you speak to today at Calvery and you mentioned your blogg. I have a strong desire to send some special people peanut butter. Could you contact me via e-mail if that is possible at kristylongoria@hotmail.com. Hi! I was at the Calvary Chapel Lynnwood Women’s Conference last weekend and you mentioned about reading ‘the classics’ and good biographies. Would you have an idea of where to find a good list or do you have a list of recommended reading? Would love to get some ideas. Was VERY inspired by you! Thank you so much! Thanks so much for coming to the conference … I had a wonderful time with all you ladies! I was at the ECPW retreat at Sandy Cove and really enjoyed your workshop. I was wondering if you have a main source for your quotes and poems. Do you keep a notebook for sayings you want to remember and use for your journals? Hi Karen! I do keep a list, because I love quotes. You can find it on my other site: http://www.shannonwoodward.com . Most of them are writing-related, but they apply to so much more than writing. Do you own the copyright to the elderly hands (all 4 hands) and if so would you want to give me permission to do a pencil drawing from it to use with calligraphy? Hi Eileen! No, I don’t own the copyright. And as far as I understand, you’re perfectly within your rights to sketch a picture. I was in an art class once and we painted from photographs all the time. I am a fellow Pacific Northwesterner (raised in the shadow of Mt. Hood, OR)and an almost empty-nester mother of four, currently transplanted (after 2 decades of military life) to a small country in eastern Europe. I just came across your website -from Messy Marriage, I think it was 😉 -and am intrigued by the variety of subject matter (from practical to profound) of your posts. I look forward to spending more time “at your place.” I would like to follow your blog, but would prefer to get email updates- is there any way for me to do that- I am kinda new to the blog world. Thanks for taking the time to respond. Blessings! Diane! So nice to meet you … and thank you for the kind words! I have been researching plugins since you wrote and trying to narrow down my options to something that will make subscribing by email easy to do. There are a BUNCH of options out there — so many it’s kind of making my head spin. 🙂 I’m sure one of them will be a good fit. As soon as I know how to do it, I will email you and let you know. Thank you so much for taking the time to comment! I’m always happy to meet a former neighbor. 🙂 I’m sure you’re collecting many wonderful stories and memories there in your new European home. Have you considered starting your own blog to share them?